Pike was a mountain guide in Yosemite in the 1880's. He traveled all the way cross country on his pony from Tennessee to personally witness this beautiful area. He loved Yosemite so much he made this his home. Pike was a kind man. He made such a favorable impression on a visitor that when he died, she traveled back to Yosemite to commission the carving of a head stone for Pike. She said Pike was the kindest man she had ever met. 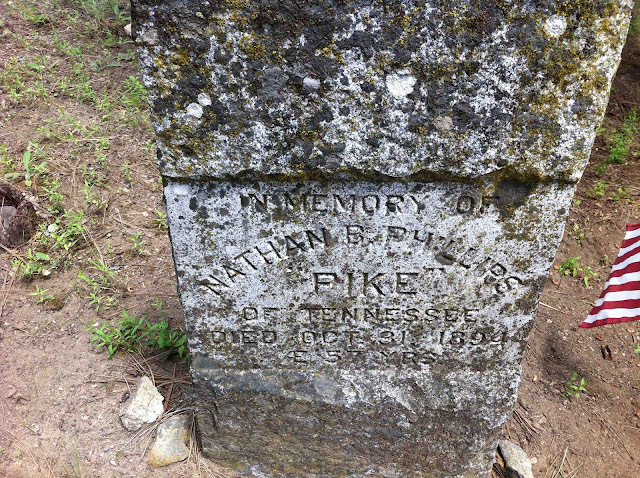 I visit Pikes grave each year to respect him as a fellow guide, a fellow Tennessean and place a flower on his grave. He was one of the first guides in Yosemite. I want to be like Pike. Thank you Pike.